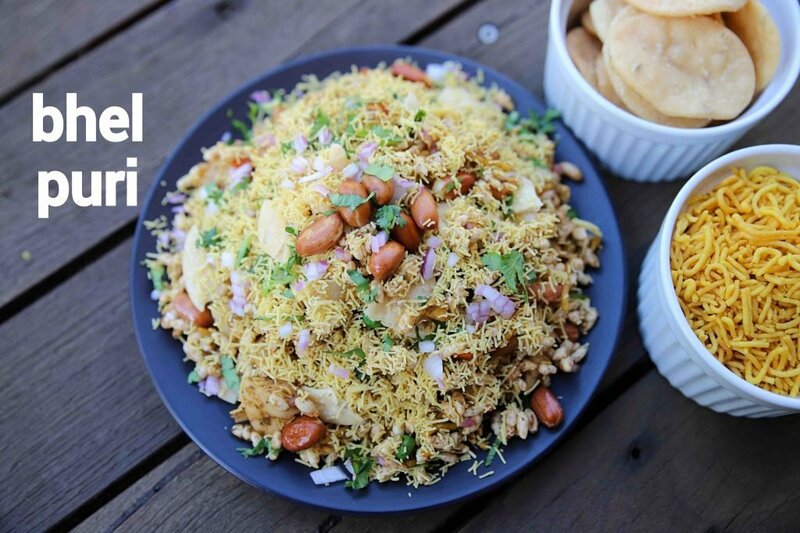 bhel puri recipe | bhel poori | bhel puri chaat | bhel recipe with detailed photo and video recipe. 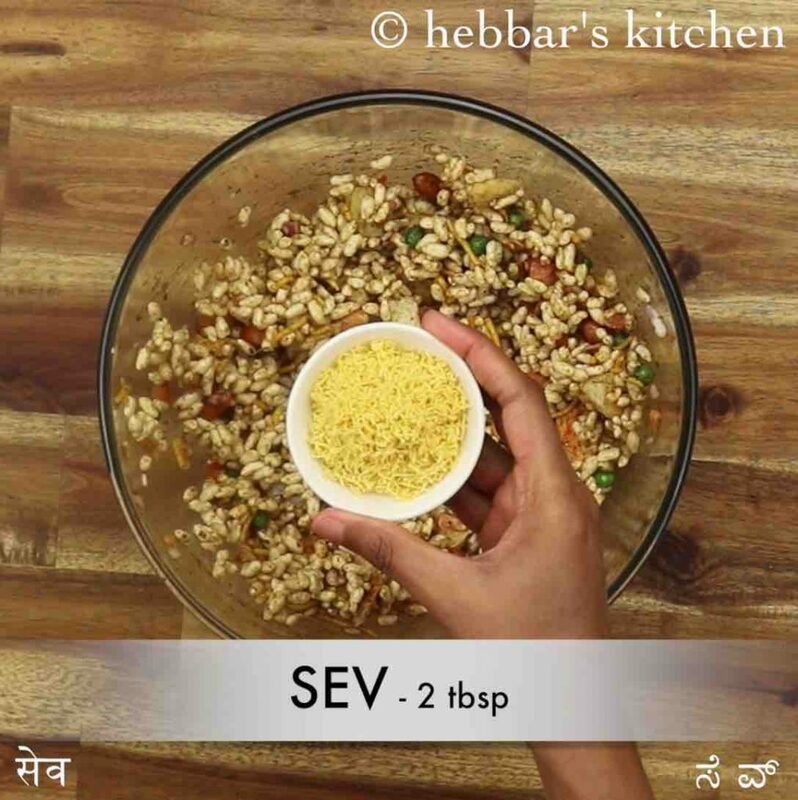 a popular savoury street snack recipe made with puffed rice, finely chopped veggies and chaat chutneys. it is generally served as an evening snack with deep fried flat puri’s which also serve the purpose of an edible spoon. 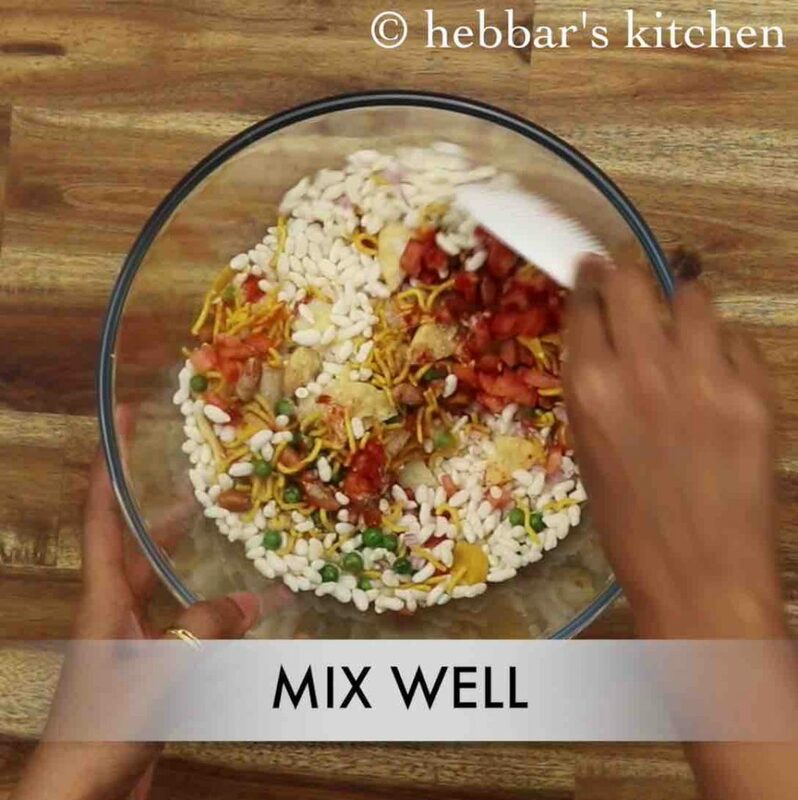 there are many variations to this popular bhel recipe, but this post is dedicated to our own mumbai street style version. bhel puri recipe | bhel poori | bhel puri chaat | bhel recipe with step by step photo and video recipe. indian cuisine is known for its lip-smacking chaat recipes, typically served by street vendors. most of them are generally gravy or sauce based snack filled with veggies, spices and chaat chutneys. 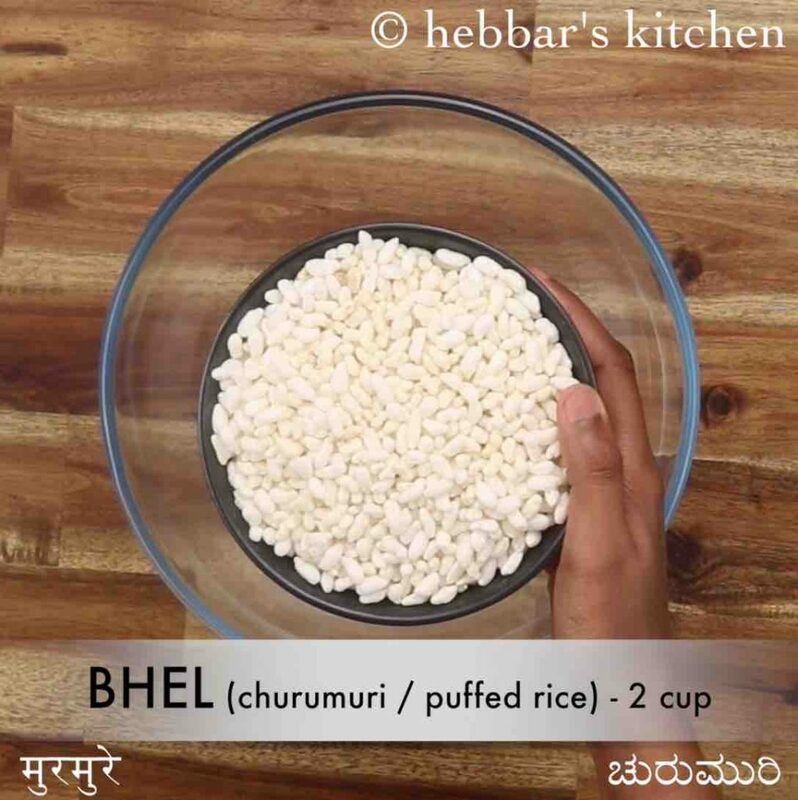 but this recipe is dry version known as bhel puri recipe or as bhel recipe made with puffed rice. 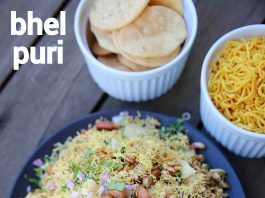 i have shared quite a few bhel recipes including the jhalmuri or churumuri recipe, but bhel puri recipe is known for its flavour and taste. 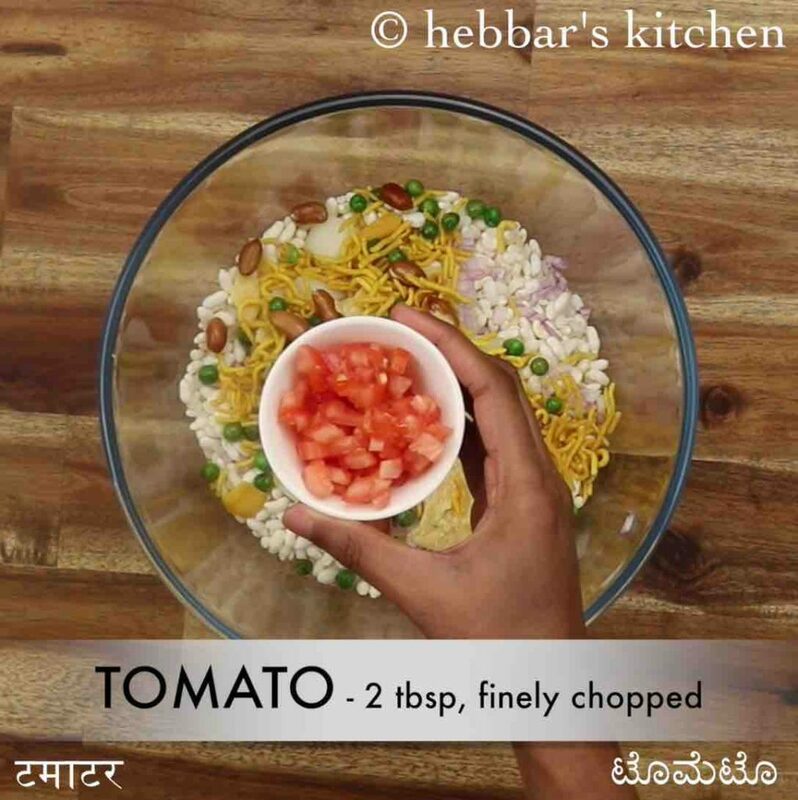 the uniqueness of bhel puri chaat recipe lies on the chutney or sauce used in this recipe. specifically, the green chutney and the imli chutney adds a new flavour to this recipe. adding these chutneys not only adds the flavour but also adds a nice texture to the bhel recipe. in other words, it makes the recipe semi-dry or semi-liquid as compared to other murmura recipe which is dry in nature. but because it is semi-liquid, the recipe has to be served immediately once it is prepared. hence the bhel recipe is always prepared on demand by street vendors and is not prepared and stored in advance. furthermore, i would like to add some tips, suggestions and variations for a perfect bhel puri recipe. firstly, i would heavily recommend using crisp and fresh murmura or any bhel recipe. 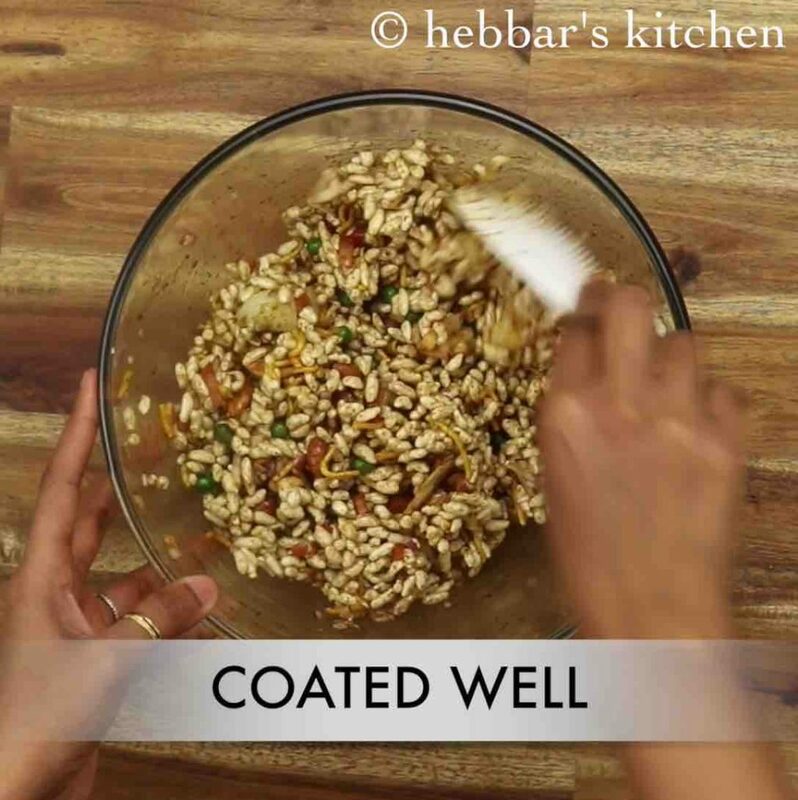 if you are using not fresh bhel, you can dry roast in a low medium flame for about 5 mins to make a crisp murmura. secondly, i have shared you a medium spice bhel puri recipe which i have controlled by green chutney and red chilli powder. you can lower or increase the spice level by increasing or decreasing either one of them. lastly, adding boiled aloo or potato is optional and you can skip it or replace it with other ingredients like boiled peas, chickpeas and even combination of these. firstly, in a large mixing bowl take 2 cups murmura. dry roast murmura if they are not crisp. add ½ onion, ½ potato, 3 crushed papdi, 3 tbsp mixture and 2 tbsp fried peanuts. also add 2 tbsp tomato, ½ tsp chaat masala, ¼ tsp chilli powder and ¼ tsp salt. 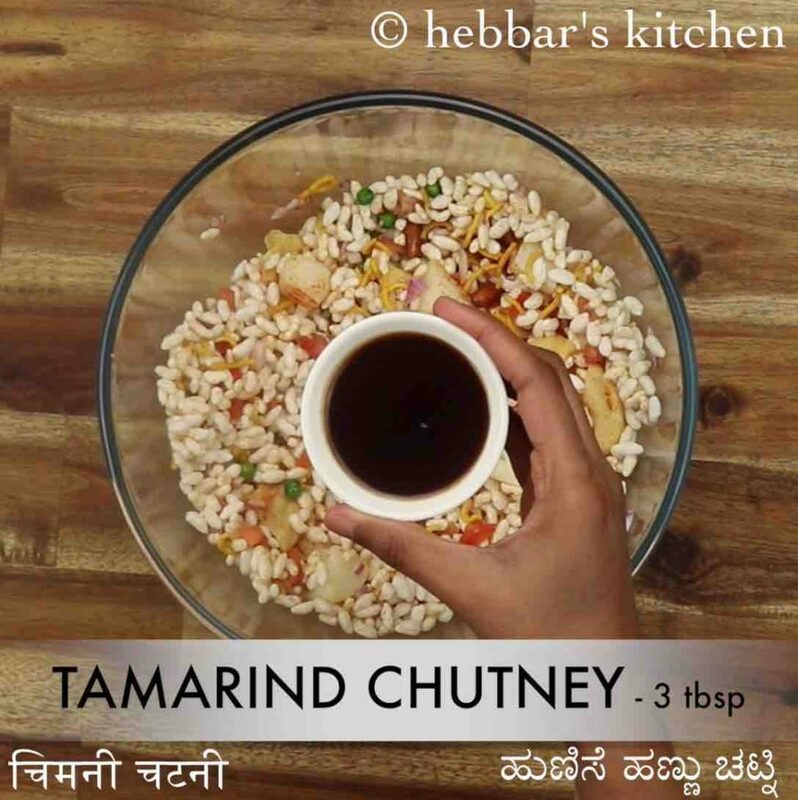 further add 3 tbsp tamarind chutney, 2 tbsp green chutney and 1 tsp lemon juice. mix well without turning murmura soggy. add 2 tbsp sev and give a mix. 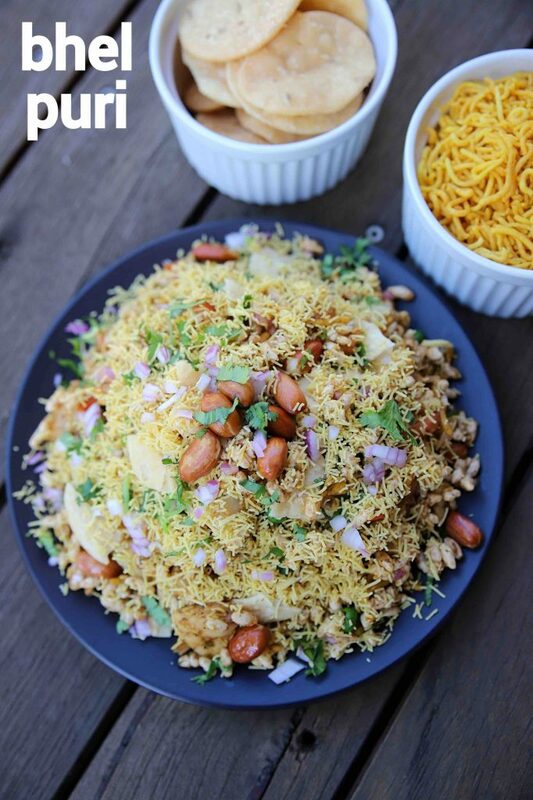 finally, enjoy bhel puri topped with few crushed papdi and garnished with onion, coriander. firstly, make sure to mix quickly, else the murmura will turn soggy and not be crisp. additionally, add a generous amount of fried peanuts for crunchy bites. finally, bhel puri recipe tastes great when prepared spicy and crunchy as served in streets of india.